Okie Dokie, so go ahead and get your noodles going and while they’re cookin up get the ither ingredients together. 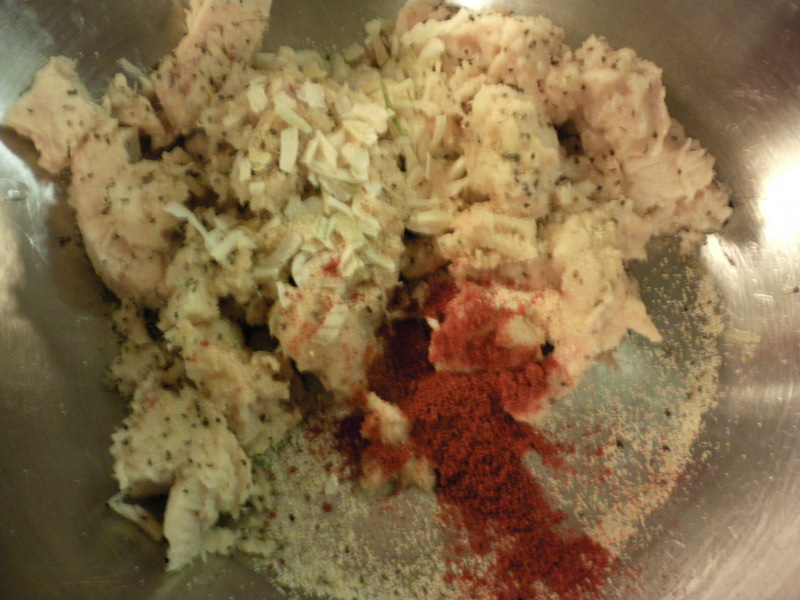 Drain the tuna and get it in your mixing bowl with some salt, pepper, and the rest of the spices. 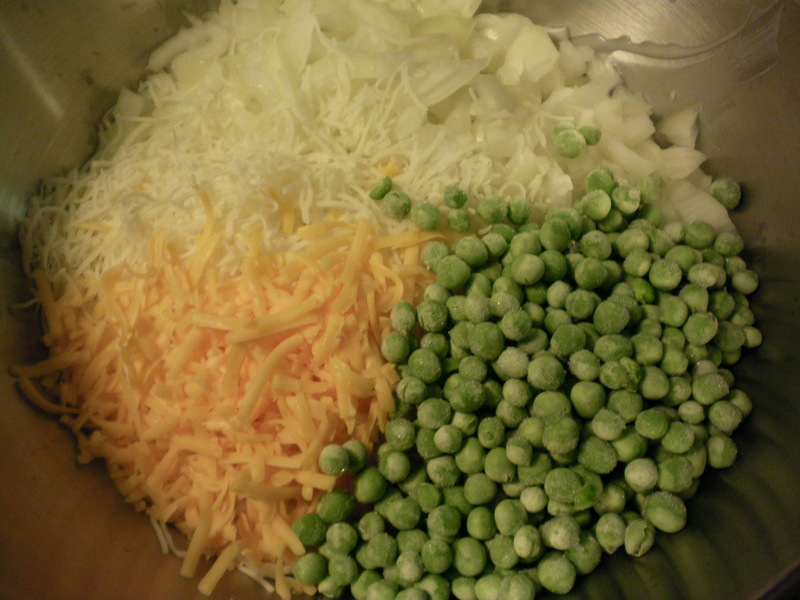 Next we add the cheese and peas right on top! 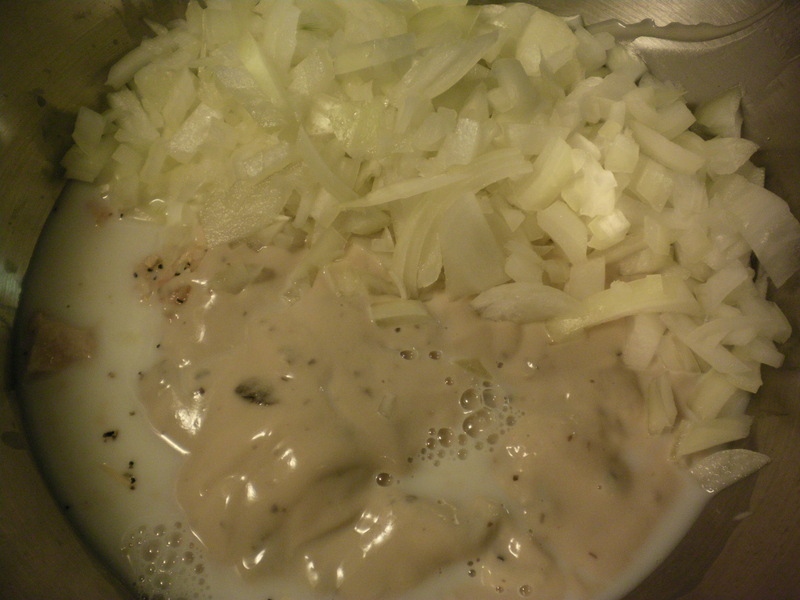 I used a mix of monterey jack and cheddar because that’s what I had on hand. Use your favorite. There’s no science to this. Now you can mix everything up until its well combined. It will start looking a lot more appetizing. 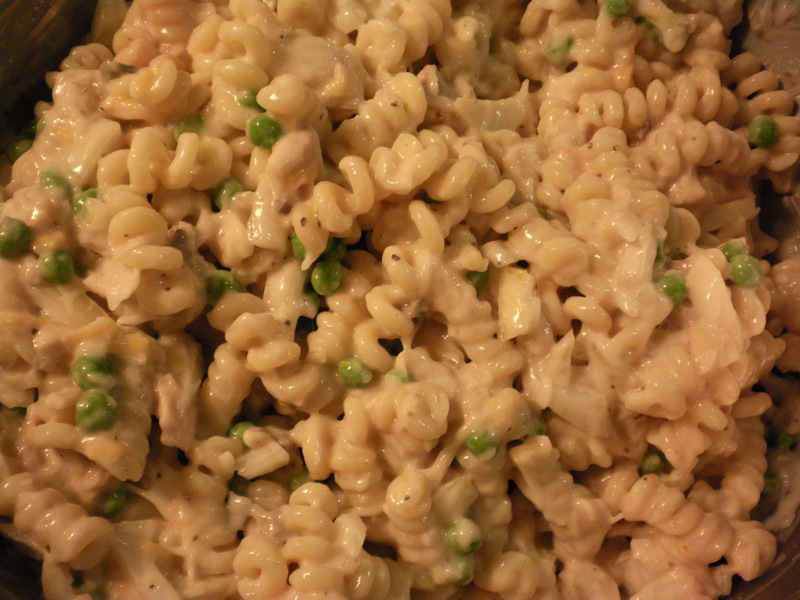 Get this into a 9×13 pan and set it aside. 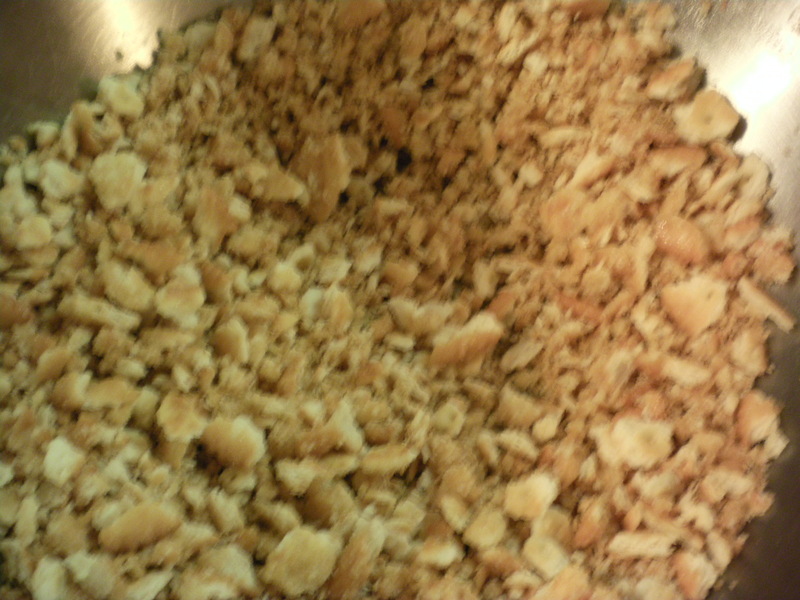 Grab the sleeve of crackers and crush it into crumbs. While you’re doing this, imagine that the crackers are the source of all your anxiety and really just stick it to ’em. Thats it… yep! Bash those suckers up! Ok I think that looks fine. Really. Stop crushing the crackers! Stop it! You’re acting crazy! Back away… slowly… Deep breaths… Good… Do you think you can handle mixing in the melted butter now? Excellent… Phew! 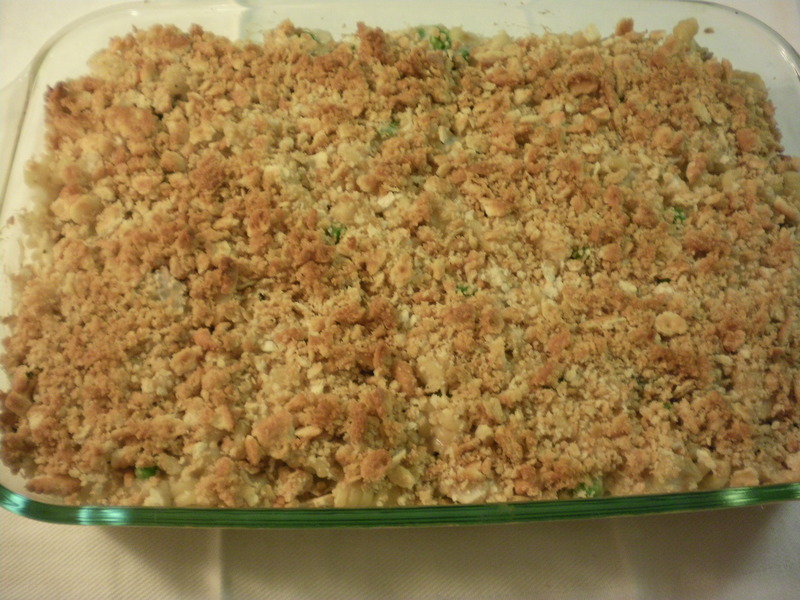 Sprinkle the cracker crumbs over the top of the casserole and bake until brown and beautiful! All that’s left to do now is dig in! Just looking at this beauty makes me feel better already. I hope you enjoy this on a day you really need it… whenever that may be. 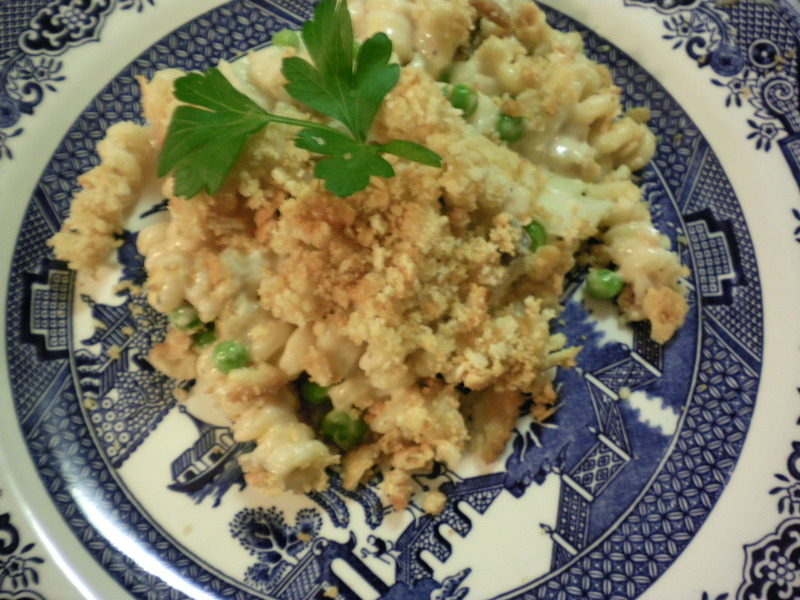 Now this casserole looks like grandmas. Cant wait to try it out.